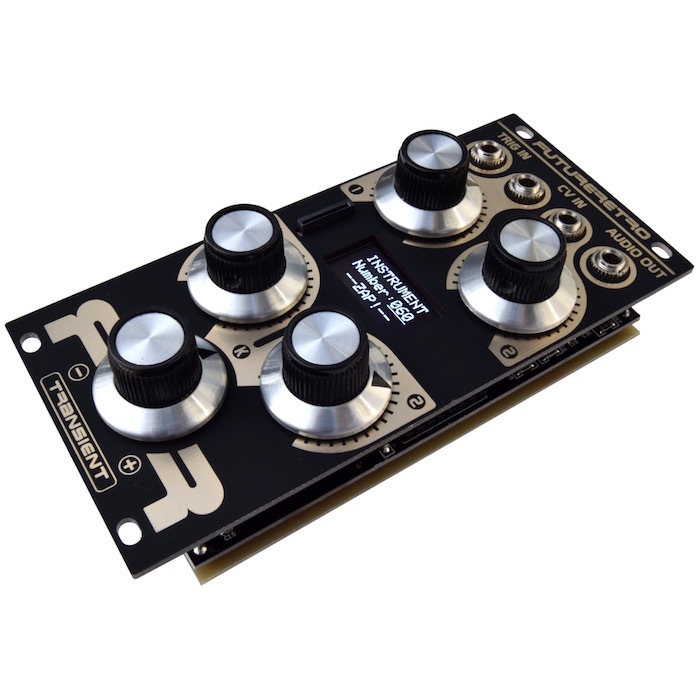 Sample-based Drum Synthesis Module, with 2 Sample Voices, AM/Ring/Sample/CV Modulation, Voice Crossfader, Mixers, Dynamics, Multimode Filter & Digital Effects – Now also with SD Card, User Samples, Pitch Mod & more.. The Transient Plus is a sample-based percussion module for the Eurorack format. It can recreate individual drum voices or sound like an entire drum machine or loop is playing, morphing from rhythm to rhythm, or at times sound more like a synthesizer when retriggering samples at audio rates, and creating other special effects. Although designed to recreate single drum instrument voices, the Transient Plus can sound as though entire beats or loops are being generated. 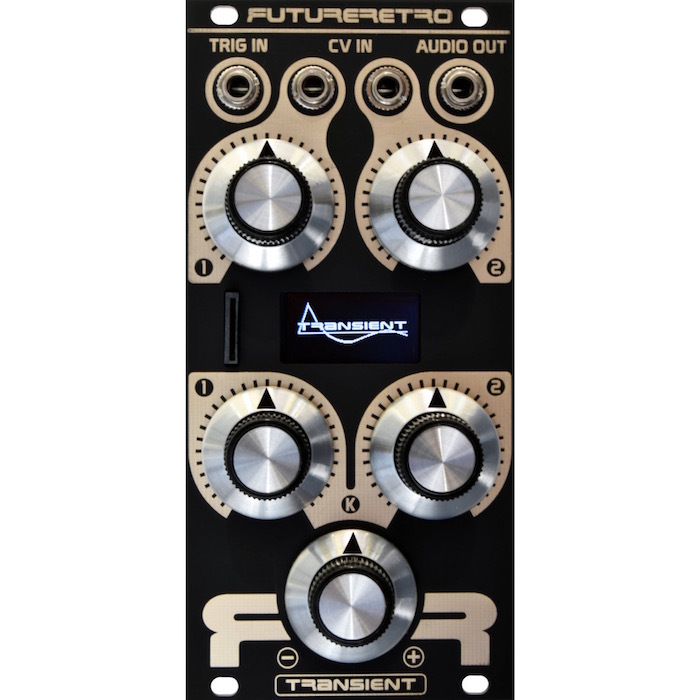 More than just a sample playback module, the Transient really is a well featured drum voice synthesizer, including two sample voices, loads of AM/Ring/Sample/CV modulation possibilities, voice crossfader, mixers, dynamics and multimode filter sections, and even digital effects. Over 400 audio samples come preinstalled with the Original factory sound set. These samples focus on classic drum machines and modern analog percussive sounds. There are two voices to play these samples, and sample selection for each voice can be modulated with things like knobs, CV’s, or random values. While internal processing of these sounds is all 16 bit resolution, a 12 bit DAC is used to add more vintage character. Up to 256 User Instruments can be stored and loaded from the microSD card, and the Transient Plus will come loaded with the original factory instruments to get you going right out of the box, and to help you learn how to achieve certain results. Instruments can now be named, as well as backed up to a computer. Up to 600 individual User samples (16 MB max total) can be loaded into the Transient Plus using the microSD card. Additional factory sound sets can also be purchased and installed in your Transient Plus, or users are free to create their own custom sound sets. 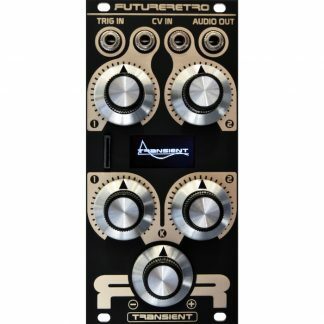 The Transient Plus also adds a new Sequential mod source that can be used to step through sample waveforms automatically, and is just the thing to recreate sliced audio loops. 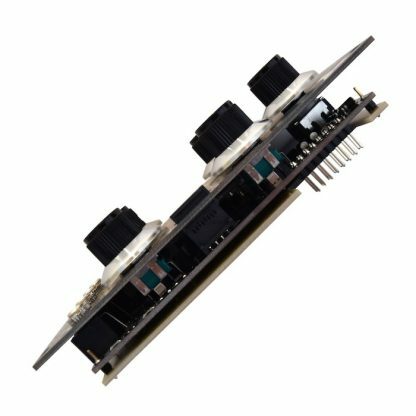 No requirement for +5v power any more! 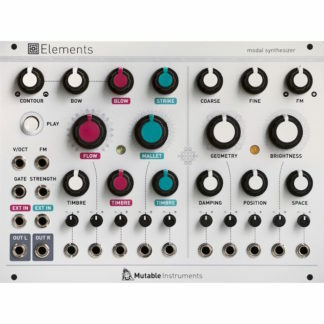 The Sample Mod selection allows different combinations for samples to be Amplitude or Ring modulated, by periodic waveforms, envelope shapes, or other sample waveforms. Two Modulation Oscillators provide both typical waveforms and new envelope waveforms. 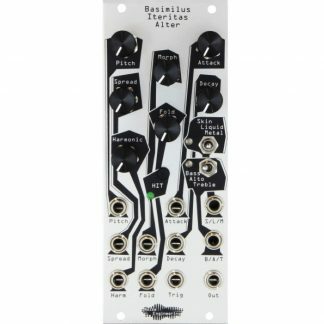 The modulation oscillator can cover both the LFO and audio range for some really nice results. Ring modulation can be used to change the phase of waveforms, creating subtle changes in repeating samples. It can also be used to change the perceived pitch, and harmonic content of a sample. It can even rectify a sample when ring modulated with itself, or allow two samples to share their “sonic DNA” with each other creating all sorts of new combinations in harmonic content. A multi-mode filter provides low-pass, band-pass, and high-pass filter types, or the filter can be bypassed completely. 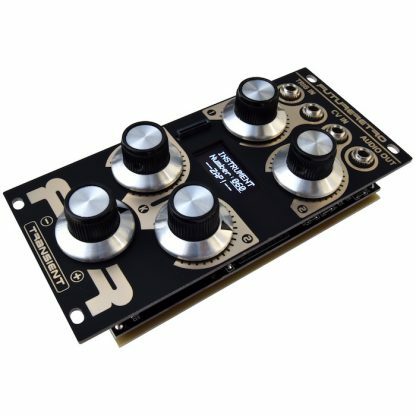 The filter frequency can be modulated by knobs, CV’s, Random generators, and now includes the ability to use the internal Modulation Oscillators as LFO and audio-rate mod sources. The Dynamics section provides control of the final output sound level – either via a knob to act as volume control, external CV’s to control the dynamics, or combinations of these. The Trig In jack accepts a wide range of trigger sources (gates, oscillators, LFO’s, even audio), to play sounds in the Transient. Two CV inputs allow external control voltages to modulate or modify parameters. In addition to the CV or K1 or K2 modulation sources, a Random generator is also provided as a possible modulation source. NOTE: +5v power is no longer needed!